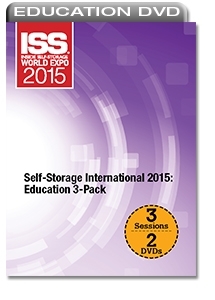 Get three education sessions that address important aspects of international self-storage. This discount bundle offers insight to emerging and developing markets in Asia, Europe, Latin America and more. An Insider’s View of International Self-Storage: A Discussion With the Experts- This panel discussion provides insight to development challenges abroad, marketing strategies for diverse markets, factors that affect financing, market growth and more. Comparing Emerging Markets in the Global Self-Storage Industry- Learn about the similarities and differences between emerging self-storage markets in Latin America and Southeast Asia, including key operators, specific projects, challenges, growth opportunities and more. Keys to Launching a Successful Self-Storage Operation in Europe- Get an overview of self-storage in Europe, including how cultural diversity affects the business and public awareness impacts marketing. Learn common development mistakes to avoid and key factors for success.